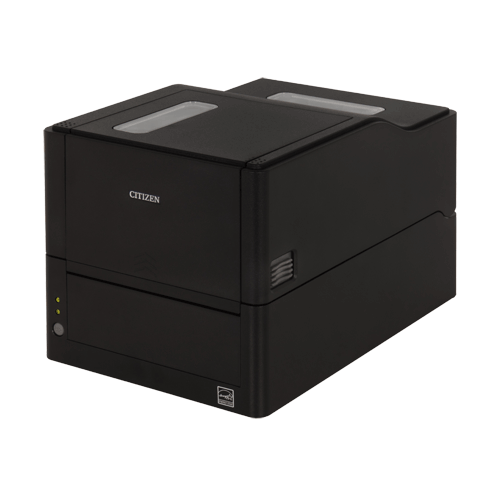 The CL-E321‘s is a economical Thermal Transfer Label Printer. Its compact, modern, functional design takes up very little desk space, is easy to use and is also perfectly at home in any location, from warehouses to hospitals. It also has a fast print speed of 8 inches-per-second, is quick to setup and to load with media. 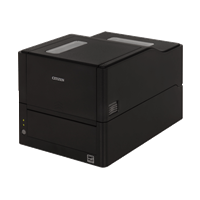 Featuring on-board LAN, USB and Serial interfaces, the CL-E321 allows the printer to be operated remotely and settings adjusted thanks to its LinkServer™ management tool, which enables you to connect to the printer instantly via a web browser. 8 inches per second (200 mm/s) at 203 dpi; 6 IPS at 300 dpi. Cross-Emulation™ - automatically switching between Zebra® ZPL-II® and Datamax®. CBI Basic Interpreter for programmers. EPL emulation coming soon.